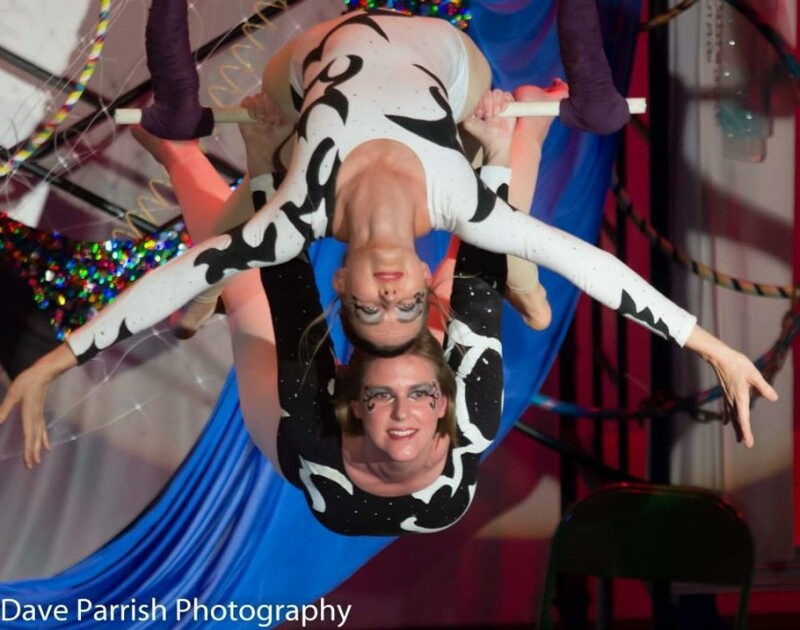 Host of Sparrows Aerial Dance and Entertainment is an aerial dance and circus arts troupe, acts include aerial silks, lyra-hoop, trapeze, rope, partner acrobatics, multi-hoop circus hula hooping, juggling, stilt walkers and more. Our performers are also hired as living statues, living tables, showgirls, cigar girls and other performance art inspired additions to your event. We also do workshops, and teach groups for parties and events. For more information on hiring a soloist, an act, and other performance and circus art options please inquire. Please be specific as rates vary for each type of performer. We are creative and talented, and may have some inspiring ideas for your event or party. Insurance: $1,000,000 - Our insurance is through ISERA Insurance Company, insurers who are familiar with the needs of circus and specialized performers. A venue specific certificate will be sent to the client and the building as part of the booking process. The artists in our company work to create the atmosphere or spectacle that you are seeking to make your event a success. Our company consists of professional performers, costume designers, makeup artists, choreographers, and rigging specialists. Services range from a solo aerialist for a party or event, to a full production with aerial acts and variety. Other services we offer to make your event unique and memorable, are interactive living tables to serve hors d'oeuvres, cake or champagne. 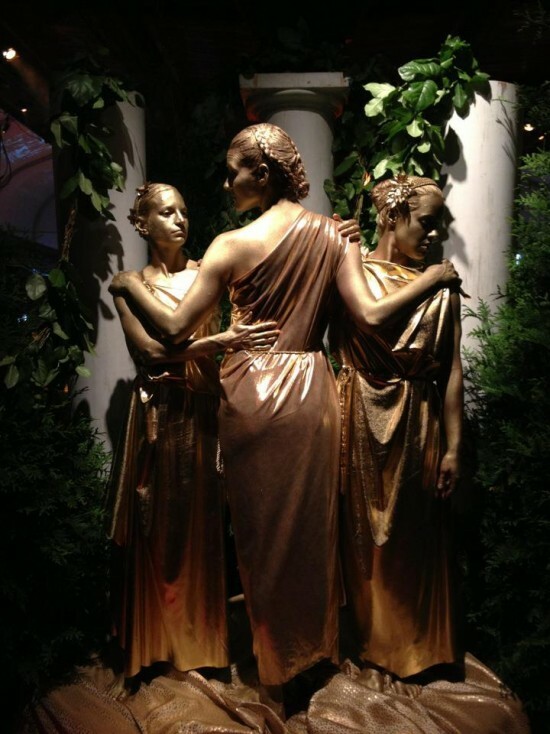 Living statues in Gold, Silver, or Marble can pose on pedestals or decorate your entrance and come to life and dance. Cigar style girls can enliven a room, and pass out party favors, cigars, candy, or whatever is appropriate for your event. Other characters include Broadway Rockettes and other Showgirl typemodels. Host of Sparrows Aerial Dance and Entertainment is a group of 10 circus artists and aerialists, who perform for weddings, parties, events, and festivals. 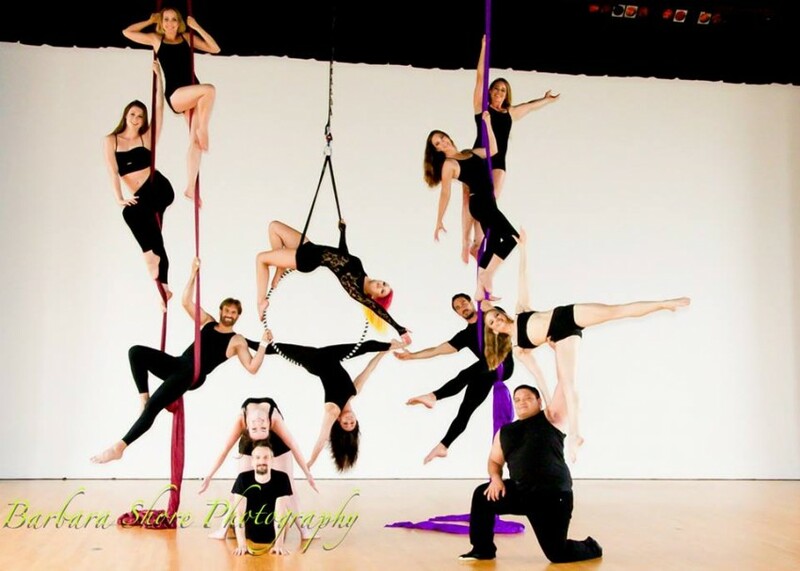 We are the first professional aerial dance company in Virginia, with dancers and circus artists ready to cater to the theme of your heart. Our resume not only includes aerialist work, but other circus arts and party entertainments. Our troupe is a resource for rigging, creative choreography, costume design, and performance, and our performers are insured and professional. 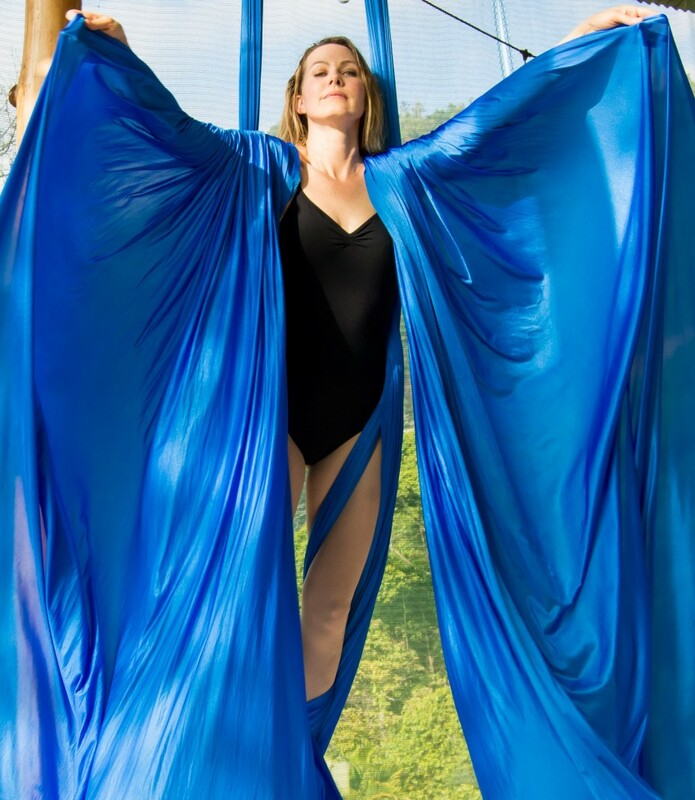 We teach workshops in our venue or yours, in aerial silks, and lyra, as well. Let us know what you are planning, and we can take your event to new heights! Lighting and Rigging and Staging are venue specific, and the needs of the act and the venue will vary the technical aspects of the performance or aerial show. Whether a venue is under Union contract or rigging is done by our company will vary the needs and the prices of an act. For quotes on rigging, a company member will need to meet with the owner/manager of the building, and have access to see the space before a specific quote can be made. Safety is always our first concern, and the most important aspect of aerial work, and the integrity of our art. We have a number of acts, and characters to chose from, and with advanced notice we can also create commissioned pieces specific to the music or theme that your heart desires. Sets can range from a one-song aerial piece, to acts, to a full show depending on the type of performance meets the needs of the event. The Contemporary Circus Arts movement popularized by Cirque du Soleil has influenced all of us. A "host" is the bird grouping name for a flock of Sparrows, and we have all come together, artists who dream of flying to create art, inspire, and aspire to push boundaries. Host of Sparrows Aerial Dance performs and also teaches aerial and circus arts through their non-profit affiliation with Dogtown Dance Theatre 501(c)(3), and is an ally with Circus Now, a Nationally recognized non-profit for the education, development, and collaboration of circus artist and artists. Aerial performances require contact with the building owner/manager before a contract can be made with the client.